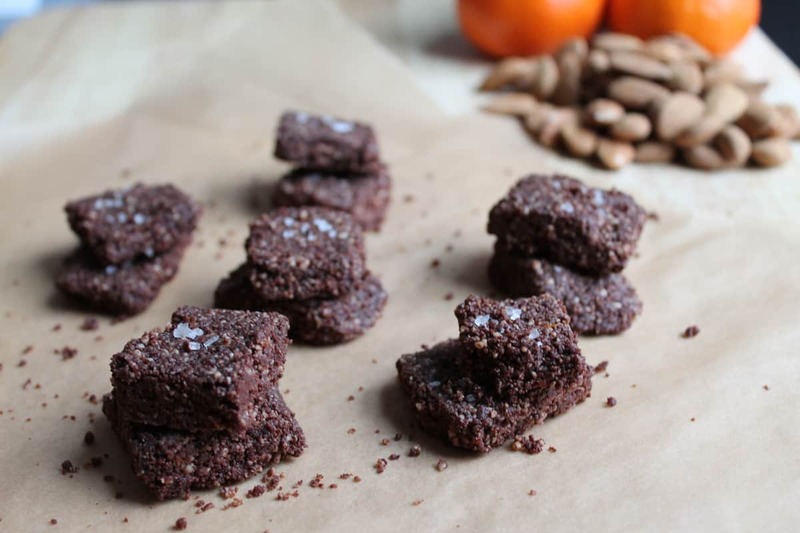 National Almond Day Raw Brownie Recipe & Giveaway! Disclosure: This giveaway is sponsored by California Almonds. I was compensated for my time by receiving free samples of the products mentioned. All opinions stated are my own. Happy triple holiday weekend! That’s right, we’ve got the day for lovers, the day for prezzies, and the less familiar, day for almonds – the ultimate tree nut! That’s right folks, today is National Almond Day – a day to reflect upon all that these little tree nuts give to us. But really, it’s a day to celebrate the versatility of almonds by getting creative in the kitchen! Call me nutty but I can’t get enough of nuts lately. They’re a good source of heart-healthy fat and a great source of plant-based protein, not to mention chock full of vitamins and minerals. This is why I was psyched when California Almonds sent me the ultimate almond package to celebrate National Almond Day – almond flour, raw whole almonds, slivered almonds and almond butter. Emerging research is being published on the health benefits of almonds, which is no surprise considering they contain 6g of protein and 4g of fiber per ounce. Research is pointing to the consumption of nuts having a positive effect on chronic disease such as cancer and heart disease. Between almond flour, almond butter and the nuts themselves, there are so many ways to incorporate almonds into your cooking. Use almond flour in your baking, crushed almonds as a topping for chicken or fish, almond butter to add to your favorite smoothie recipe. 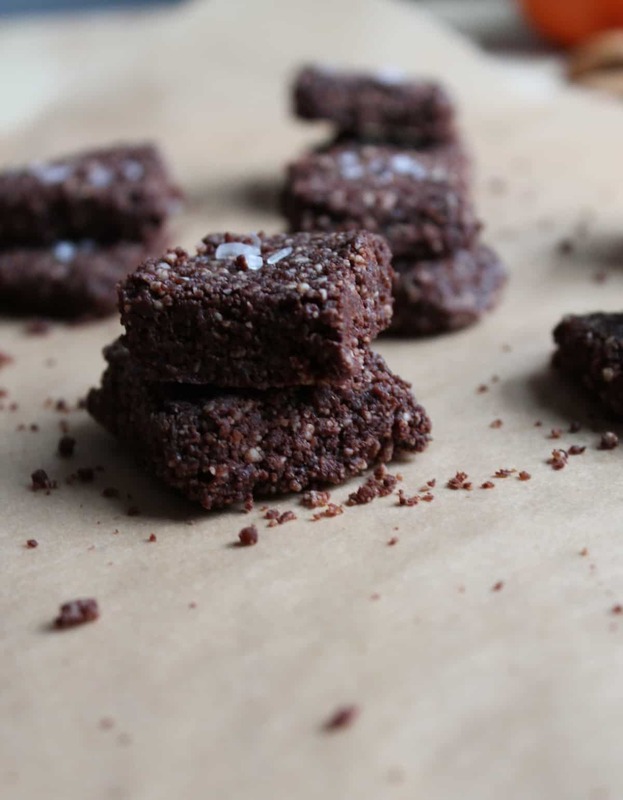 To celebrate National Almond Day AND Valentine’s Day, I made a delicious recipe for raw vegan brownies featuring almonds and almond butter! In a food processor, add almonds and pulse for a few seconds until almonds turn turn into a course flour. While the food processor is running, add the remaining ingredients. The mixture should be crumb-like but but held together when pressed. Pour the mixture into a 8×8 pan and press down firmly with your hands. 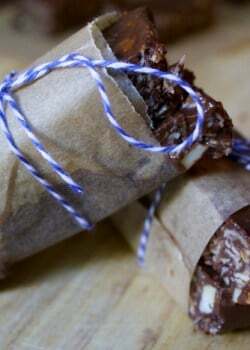 Cut into small squares or alternatively, roll into small balls for brownie bites. Garnish with course sea salt. Variation: For chipoltle chocolate brownies, substitute 1 tsp orange zest for 1/2 tsp chipoltle powder and skip sea salt garnish. 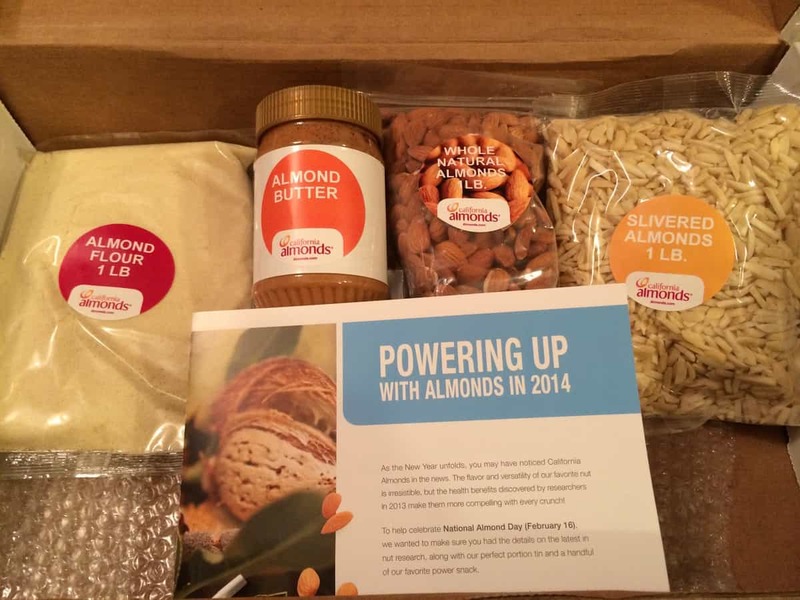 “I just entered @karalydonRD giveaway for a free @almond #lifehack pack. Enter for a chance to win by visiting peaceloveandfood.com #spon”. This giveaway will run from Sunday, February 16 through Thursday, February 20. The winner will be announced on the blog on Friday, February 21st. i’ve been using almond flour to make cupcakes. Sprinkled on top of salad! Yum! I usually eat almonds with cereal or by itself. I’m not sure if the giveaway is open to Canadians, but I wanted to say that your brownies look amazing! I usually just toast almonds and them to things like vegetables or oatmeal. Very creative recipe! I love the incorporation of maca too. 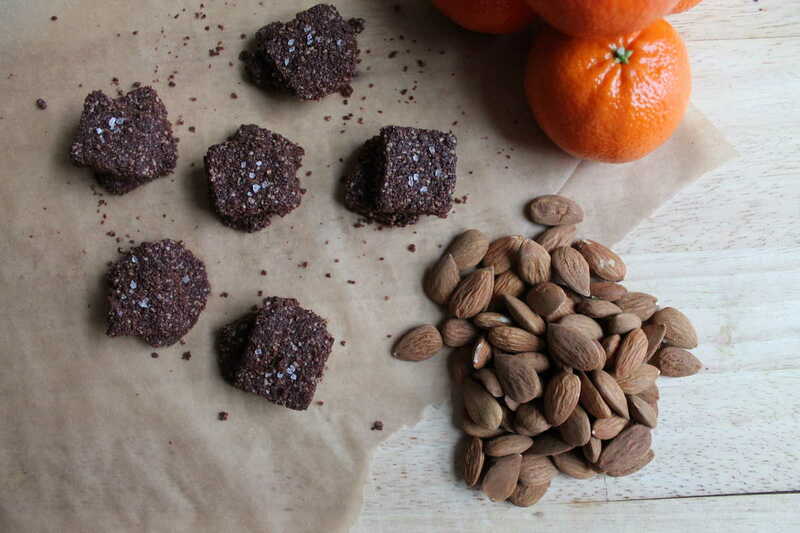 I actually used both almonds and maca in a fruit and nut energy bites recipe I’m still playing around with. It actually is close to yours without the cocoa powder. I love to add it to bananas, honey and peanut butter together with almonds on top. I love use put roasted almonds on my pasta! I love putting roasted almonds in pasta and roasted veggies! I like using almond flour for baking and making pancakes. I like to add a little seasoning and then roast them in the oven. I think it makes them taste a little like chips! 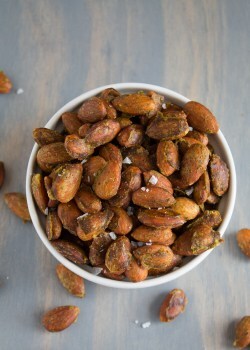 I like to add a little seasoning to almonds and roasting them in the oven. I think it makes almonds more like a healthy version of chips! i love using it in my granola! Yum! Those look delish. Love using almonds to make homemade almond butter. I like to use almond flour to make paleo chocolate chip cookies! 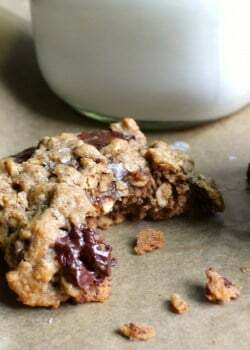 I love using almond flour to make paleo chocolate chip cookies! I add sliced almonds to my granola and yogurt! I made some yummy energy bars that didn’t need to be baked – I used almond flour, almond butter, almond extract, and ground almonds, added a little honey and sea salt. I made them into squares. Sooo much almond goodness!!! I like to add sliced almonds to salads and brownies. Yum! Those look fantastic! My favorite way to use almonds are mixed into my breakfast smoothie. Thank you for the wonderful giveaway.